Main body width = 200mm. Mounting depth = 20mm from rear surface to centre of mounting bolt. Height from mounting surface = 140mm. Height from mounting surface including single hole adaptor = 155mm. 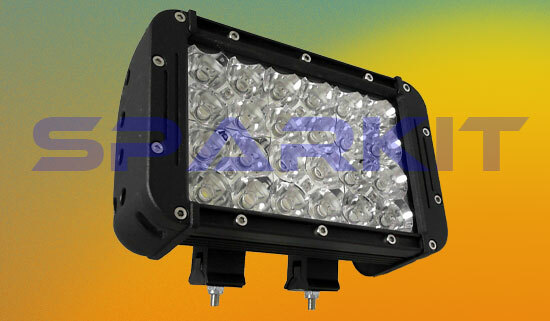 Light source type =3 Watt High Power LED. 12 Volt Current = 5.5 Amps. 24 Volt Current = 2.78 Amps.